Smell pine and citrus, with a peppery warmth in flavour from the Pink Peppercorns. Sealed with lemon and orange peel citrus, along with pine and spice from juniper and angelica, the taste is rounded off with an earthy sweetness from liquorice. 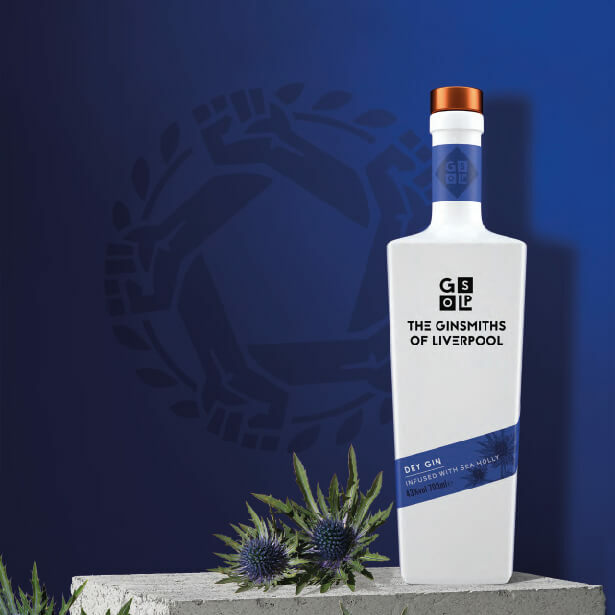 We use Sea Holly and Almond to give the gin a luxurious feel and flavour. Dry GIn is made with hand foraged Sea Holly, the Flower of Liverpool. Sea Holly (Eryngium maritimum) is the official flower of Liverpool and grows along the city’s coastlines. It has long been used as a medicinal plant, in particular the Victorian would candy the roots for use as an aphrodisiac. The Sea Holly gives our Dry GIne a unique and recognisable aroma and flavour, using a botanic that ties us to our home city. Key Botanicals: Juniper, Coriander Seed, Angelica Root, Almond, Liquorice Root, Orris Root, Lemon Peel, Orange Peels, Linden Leaf,Sea Holly, Pink Peppercorn. Recommended Serve: A quality tonic, garnished with orange zest and a sprig of mint. 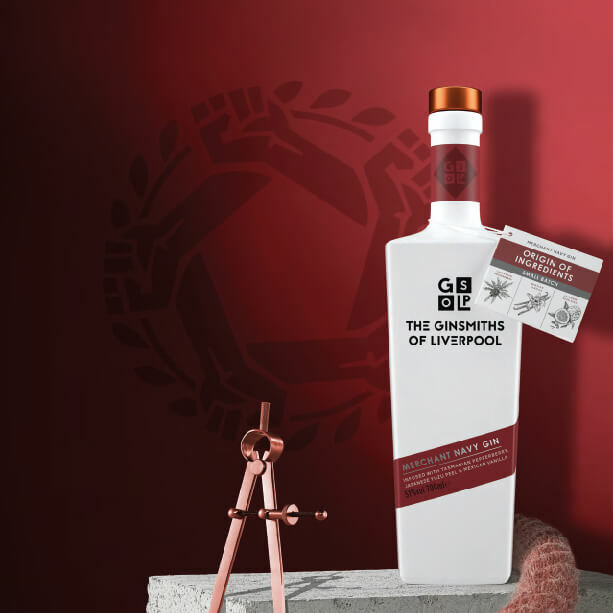 Intense, powerful and strong, this is a gin with enough weight to carry the heritage of Liverpool’s mercantile past. Inspired by stories from the sea, we wanted to create a flavour and aroma that takes taste from around the world and seals it into a single sip. On the nose are big citrus aromas of grapefruit and clementine, with notes of the Australian Pepperberry. This makes way for the taste, at first with heat from the pepper, followed by the big citrus flavours of the Yuzu peel combining the flavour of grapefruit, Clementine, Pomelo and orange. The earthy sweetness of the Mexican Vanilla gives the gin balance. A lingering heat of the Yuzu is left on the palate long after the gin has gone. Recommended Serve: A quality tonic and a rough cut of pink grapefruit zest. The first hit of vanilla and lemon peel are laced through this refreshing and flavoursome gin. 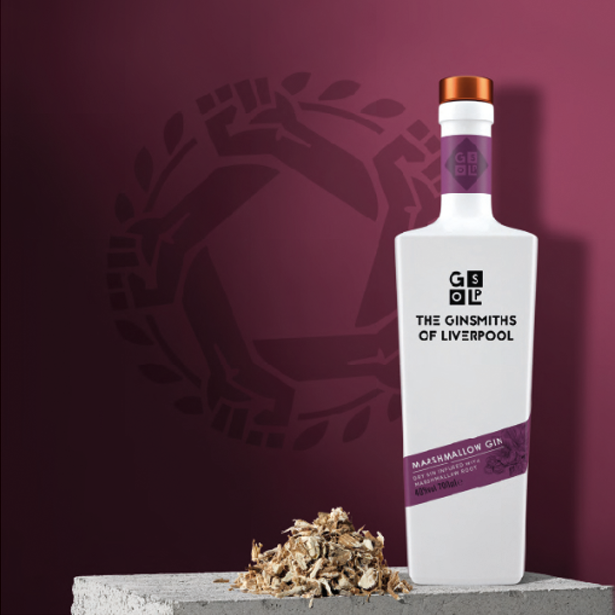 The rich taste is added to with the marshmallow sweetness, combined with the savoury juniper and nutmeg. Finish: Sweet Marshmallow and savoury Juniper. Recommended Serve: A quality tonic, berries and finished with a marshmallow and aroma spritz. Why not join us on a special distillery tour?